Jagdgeschwader 5 (JG 5) Eismeer was a Luftwaffe fighter Wing that served during World War II. As the name Eismeer (Ice Sea) implies, it was created to operate in the far North of Europe, namely Norway, Scandinavia and northern parts of Finland, all nearest the Arctic Ocean. Just over two dozen fighter aircraft that once served with JG 5 during the war still survive to the present day, more than from any other combat unit in the Axis air forces of World War II. 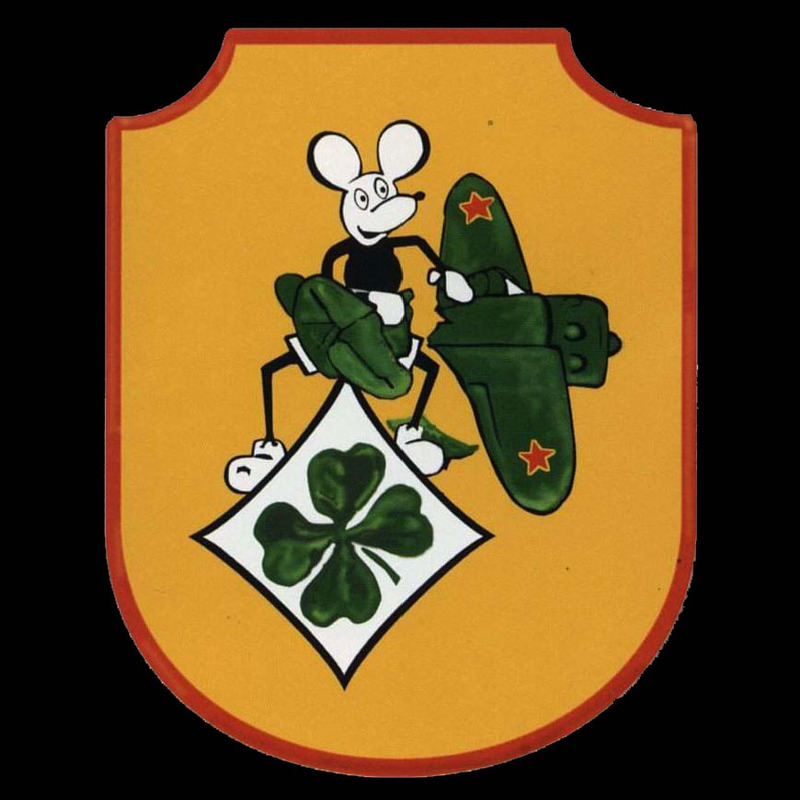 JG 5 was formed when elements of the I. Gruppe/JG 77 already stationed in Norway was redesignated as I./JG 5 in January 1942. The II. Gruppe was newly created and III. Gruppe was formed from elements of I./JG 1 in May. 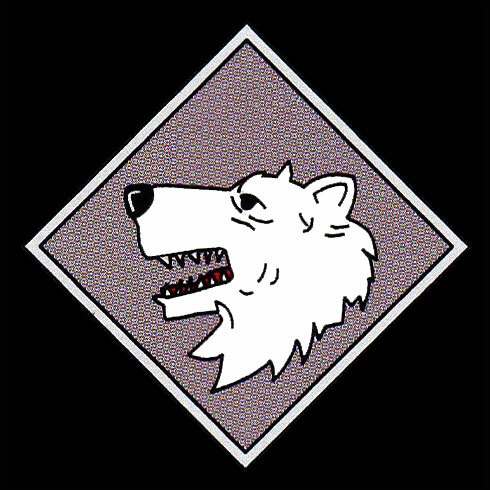 The unit had the responsibility for providing fighter-cover over occupied territories under Luftflotte 5, and also to provide fighter-support for the Heer (Army) units fighting on the Arctic front in the Murmansk area. JG 5 also had the important task of disrupting traffic on the Murmansk rail-line, as this was the main artery of the Karelian Front defenders. I. Gruppe was based on the west coast of Norway, in Stavanger, to defend against Allied anti-shipping attacks. II. and III. Gruppe was stationed at Petsamo in Finland, to support operations in the East. JG 5 had to cope with challenges that were unique within the Luftwaffe, from 24-hour days during summer when the sun never set, to the complete darkness and extreme cold of the Polar winter. By the beginning of Polar Summer of 1942, Luftflotte 5 had been reinforced and by July 1942 possessed a total of 250 serviceable aircraft. Operationally, these were controlled by Fliegerführer Nord-Ost Obstlt. Walter Lehwess-Litzmann, responsible for operations over the front-line and by Fliegerführer Lofoten, Oberst. Ernst-August Roth, responsible for anti-shipping operations. Due to the air superiority established by II. and III./JG 5 early in the year, Luftflotte 5 enjoyed a numerical and considerable qualitative superiority, and the Soviet opposition amounted to just 170 serviceable combat aircraft. Fliegerführer Nord-Ost also benefited from a Freya early-warning radar network. During the Summer the Soviets brought in new units, including 20 lAP equipped with the new Yak-l and an effective counter to the Bf 109-F. On 19 July 7./JG 5's Lt. Bodö Helms and Ofw. Franz Dorr claimed one Yak-1 each, and Uffz. Werner Schumacher claimed two fighters shot down. ( Actual Soviet losses were five: a MiG-3, 3 Airacobras and Kittyhawks, and a Hurricane.) In return, JG 5's Fw. Leopold Knier and Uffz. Hans Dobrich (14 victories) were shot down. Both German pilots baled out. Knier was taken prisoner, but Dobrich walked back to his own lines. Luftflotte 5 recorded 26 combat losses in July 1942, while the VVS lost 32 of its own aircraft shot down or missing, mainly to JG 5. On 21 August, 6./JG 5 claimed 14 Soviet fighters shot down. According to Soviet records 2 LaGG-3s and 2 1-16s were shot down over Vayenga, and two aircraft made forced landings. JG 5 lost two Bf 109s, one flown by Staffelkapitän of 6./JG 5, ObIt. Hans Dieter Hartwein (16 Kills) posted missing. During this period, overclaims were made by both sides. JG 5 claimed some 72 victories in August, but Soviet records indicate 24 Soviet aircraft lost with another 7 damaged and 13 aircraft missing, and another 4 were shot down by ground fire. As 1942 wore on, the increased Allied air pressure towards Norway meant that a part of III. Gruppe and the newly created IV. Gruppe had to be stationed around Trondheim. A second part of III. Gruppe was stationed in Kirkenes, both to provide cover from marauding Soviet Air Force formations, and to help with the intensifying attacks against the Arctic convoys. Leutnant Heinrich Ehrler (6. JG 5) was awarded the Ritterkreuz des Eisernen Kreuzes on 4 September for 64 victories. In June 1943 Oberstlt. Gotthard Handrick was transferred to 8. 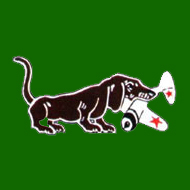 Jagddivision, and replaced by the Gruppenkommandeur III./JG 5, Major Günther Scholz. Mid 1943 also saw JG 5 at its maximum strength. It consisted of 14 Staffeln; 12 regular single-engined fighter Staffels equipped with the Bf 109 and Fw 190, one Bf 110-equipped Zerstorerstaffel and finally the Jabo unit, 14. (J)/JG 5 with the Fw 190. 1943 was also the last year in which JG 5's four Gruppen had any sense of operational unity. I and II. Gruppe left Norway and Finland for good in late 1943 to fight the rest of the war away from their parent Geschwader. In November 1943, I. Gruppe moved to Romania as protection for the vital Ploiesti oil refineries. The gruppe were placed under the command of Luftflotte 1 for the remainder of 1943. Gruppenkommandeur since February 1943 is Hauptmann Gerhard Wengel. He died defeinding Sofia in combat with USAAF on 10 January 1944, when, after I./JG 5 jet fighters destroed 3 "flying fortresses", his Me 109 crashed near Radomir. On 26 March 1944 Hauptmann Horst Carganico was appointed Gruppenkommandeur of I./JG 5 participating in the Reichsverteidigung (Defense of the Reich). After combat with USAAF B-17's on 27 May 1944, he was killed when his Bf 109 crashed after hitting high tension cables while force-landing near Chevry, France. Carganico had claimed 60 kills. Hauptmann Gerhard Wengel Gruppenkommandeur of I./JG 5 "Eismeer" memorial slab in Sofia In 1944 I. Gruppe was redesignated as III./JG 6 and sent to France, and it was never replaced. In June - July 1944, Gruppenkommandeur Theodor Weissenberger was credited with 25 victories over Normandy (half the total score by the whole unit during this period). II. Gruppe was transferred to Northern Russia under the command of Luftflotte 1, and then redesignated as IV./JG 4 and sent back to Germany in early 1945. IV./JG 5 and 14./JG 5 were transferred to the Arctic Front from Southern Norway in August 1944. The Gruppe joined the first of several large air battles commencing on October 9, opposing the final Soviet offensive against Petsamo. When the day was over, III. and IV./JG 5 had claimed 85 Soviet aircraft shot down (among them the 3,000th victory for JG 5) against the loss of only one pilot killed. On 1 August 1944 Major Heinrich Ehrler was promoted to Geschwaderkommodore of JG 5. In November 1944 IV./JG 5 returned to Southern Norway. Up to the end of the war this unit formed the air defence against the Allied raids on targets in Norway, principally the submarine bases at Trondheim and Bergen. On 12 November 1944 Avro Lancaster bombers of 9 and 617 Squadrons raided the Tirpitz in Tromsö fjord. Major Ehrler scrambled to intercept at the head of a formation of JG 5 Bf 109G's, but the fighters were too late. The Tirpitz was sunk with the loss of a thousand sailors. Ehrler was court martialed and sentenced to three years Festungshaft, and stripped of his command. (He was killed flying with JG 7 on 4 April 1945). Throughout its operational history JG 5 found itself faced with overwhelming numbers of Soviet aircraft. Often groups of 100-200 bombers and fighter planes had to be met with 20-30 German fighters. The losses suffered by JG 5 were remarkably low in comparison to the losses they inflicted on the enemy. However, total losses of pilots (dead, captured or wounded) was at least 380 - essentially the entire operational strength replaced twice over three years. Total claims for aircraft shot down appear to be approximantely 3,200. 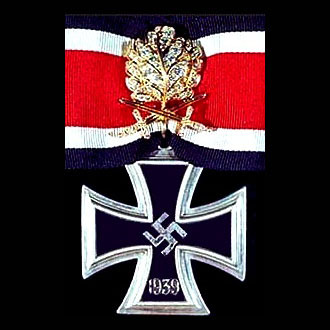 In addition to the 208-kill ace Ehrler, JG 5 boasted several other high scoring aces, including Theodor Weissenberger, who scored 208 victories and Walter Schuck who scored 206 victories and was awarded the Knight's Cross with Oakleaves. * BjÃ¸rn Hafsten[et.al.](1991). Flyalarm - Luftkrigen over Norge 1939-1945, Sem & Stenersen AS. (ISBN 82-7046-058-3). 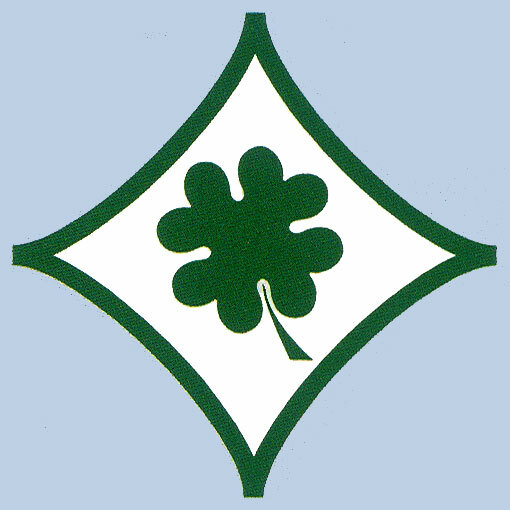 Formed May 1942 in Petsamo. From 25 Mar 1945 the Stab also functioned as Jafu. Norwegen. 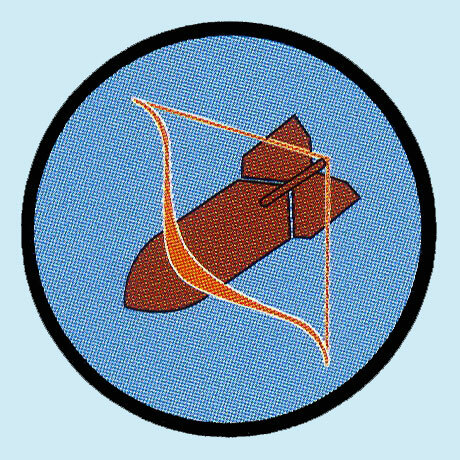 On 16 Mar 1942 1./JG5 was redesignated 6./JG5, and was reformed from 10./JG1 on 21 Mar 1942. * 1./JG5 at Kjevik (20 Jan 1942 - Feb 1942), Stavanger (Feb 1942 - Mar 1942) and Herdla (Mar 1942 - Aug 1943); 2./JG5 at Lister (20 Jan 1942 - Aug 1943) and 3./JG5 at Herdla (20 Jan 1942 - Aug 1943). Schwarme was also stationed at Trondheim, Kristiansand, Mandal and Oerlandet at various times. ** 2./JG5 remained in Lister until 30 Oct 1943. **** Chauny and Manancourt was also used. Stab II./JG5 from Stab/Jagdgruppe z.b.V. In Mar 1942 6./JG5 was formed from from 1./JG5 in Stavanger (later Alakurtti). * 5./JG5 remained at Petsamo until early 1943. The other staffeln were also stationed at Petsamo, from time to time. **** 9./JG5 was attached to the Gruppe from early Jun 1944. In Jul 1942 9./JG5 became 10./JG5 and was transferred to IV./JG5, while a new 9./JG5 was formed from parts of 7. and 8./JG5. * 7./JG5 moved to Bodö Jan 1942, and joined the rest of III./JG5 in Apr 1942. ** Part of III./JG5 also used Kirkenes during this period. *** Gruppenstab and 11./JG5 at Alta, with 9., 10. and 12./JG5 at Bardufoss. Olt Rudolf Lüder (acting), 3 Oct 1943 - ? 16./JG5 was formed Nov 1944 in in Stavanger. ***** 13. and 15./JG5 still at Lister. Formed 25 Jan 1942 in Kirkenes as 6. (Z)/JG5 from 1. (Z)/JG77. On 16 Mar 1942 renamed 10. (Z)/JG5, and on 26 Jun 1942 renamed NJ.Kdo.13.(Z)/JG5. 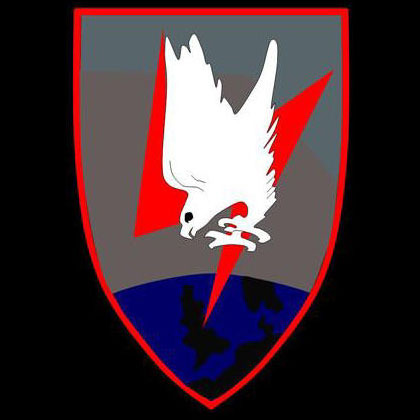 On 18 Jul 1944 redesignated 10./ZG26. * Stationed in Stavanger for a few days in Sep 1943. Formed Feb 1943 in Petsamo from parts of 11./JG5. On 7 Feb 1944 redesignated 4./SG5. About twenty of JG 5's Messerschmitt Bf 109s, comprising six E-models, eight 109F-models and seven G-models; and five of JG 5's Focke-Wulf Fw 190s, four of them A-models and one F-model, survive into the 21st century, believed to be (at about 27 aircraft) the highest number of surviving World War II-era piston-engined German combat aircraft from any single Geschwader-designated operational unit. The oldest existing aircraft of all that served with JG 5 in World War II is the Bf 109E-3 with Werknummer 1983 that was assigned to JG 5's 5th Staffel, housed at Charleston Aviation Services, Colchester, England in the UK currently undergoing restoration, with the oldest Fw 190 remaining in the world, the A-2 model that served with JG 5, bearing Werknummer 5476, existing in Texas awaiting restoration. The lone surviving Fw 190F model that served with JG 5 is under restoration in Florida to possibly become the first restored, original F-series BMW 801 radial-engined Fw 190 since the end of World War II to fly again in coming years with The White 1 Foundation in Kissimmee, Florida. Bjørn Hafsten[et al.](1991). Flyalarm - Luftkrigen over Norge 1939-1945, Sem & Stenersen AS. (ISBN 82-7046-058-3).